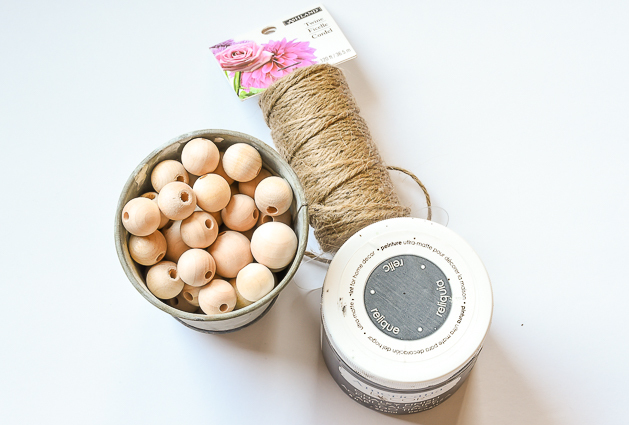 Are you looking for an easy craft project? 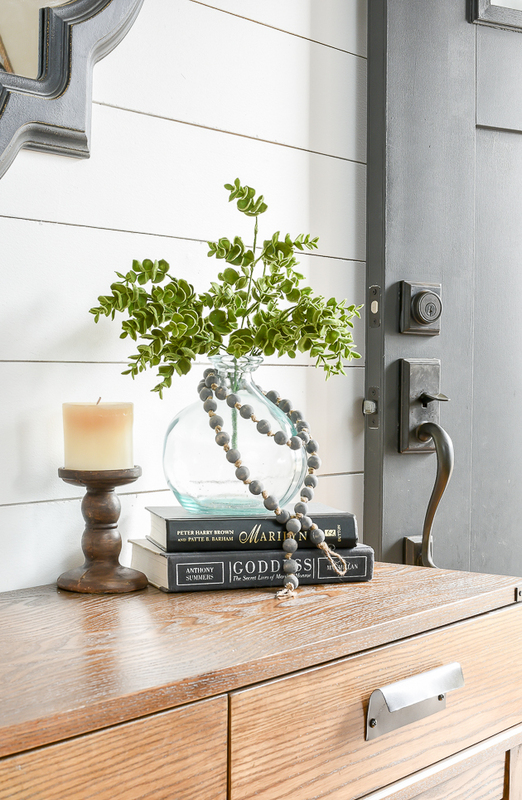 This simple knotted wood bead garland is perfect for adding a bit of texture and style to your farmhouse home. 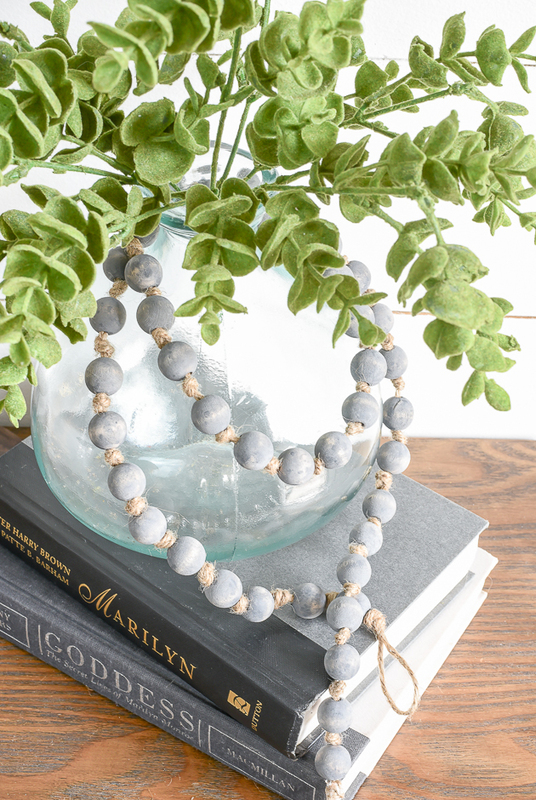 I'm no stranger to making DIY wood bead garlands. (I made a natural tassel garland last year and a colorful Christmas version this past winter.) 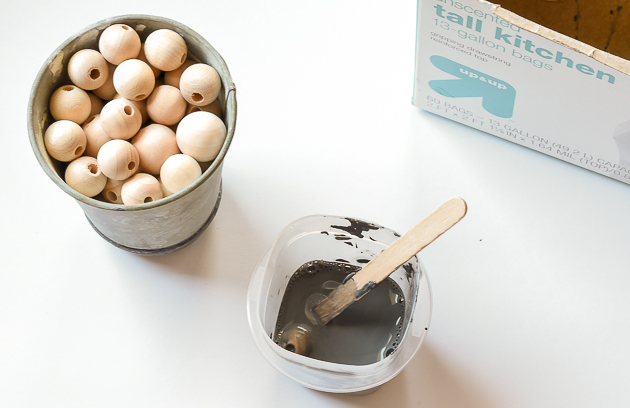 They are fun and affordable to create and they make great decor too. 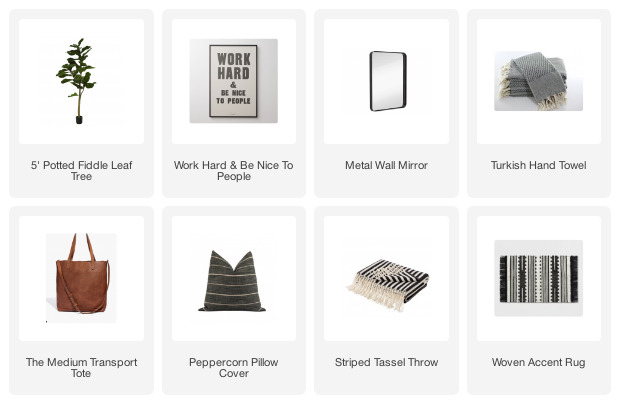 With little effort you can even customize them to fit your style and decor. I decided to add a bit of color and texture to mine with a the addition of a few simple knots. 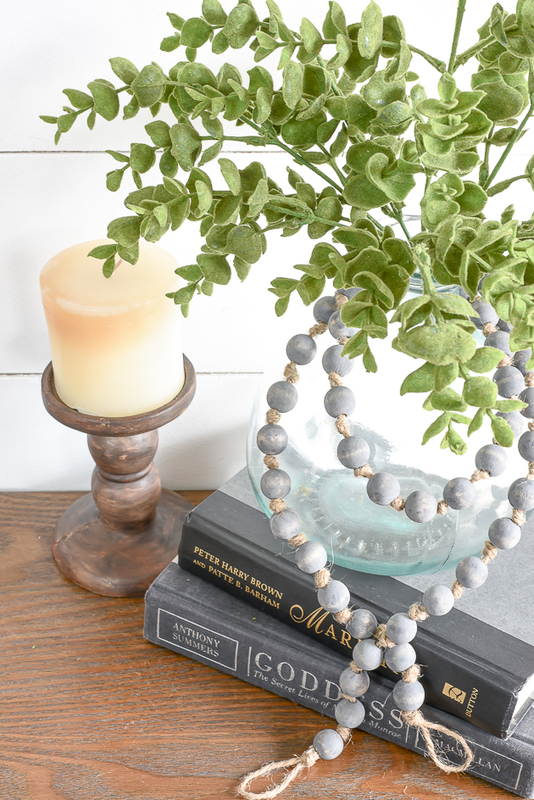 I love how the dark gray adds a touch of contrast and the knots add interest to an otherwise basic bead garland. 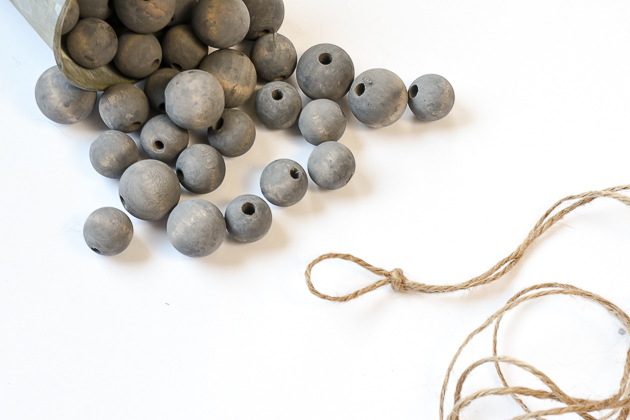 The first step is to decide what color you want to make your beads. 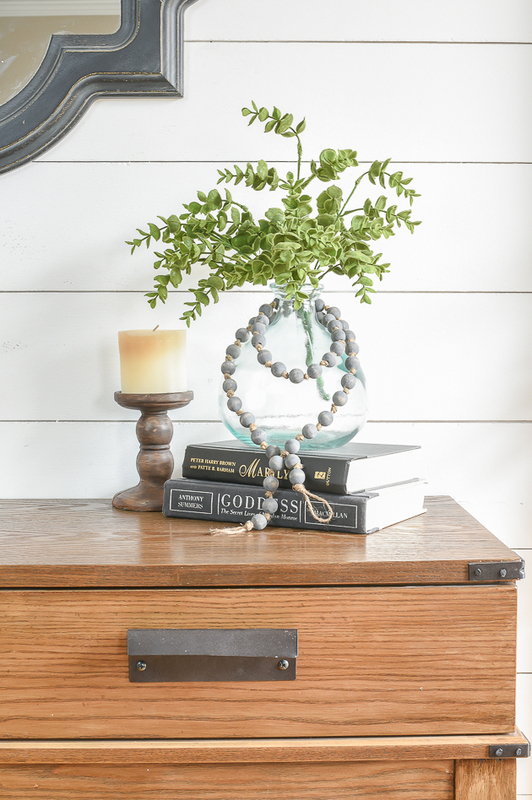 I was looking for contrast between the jute and beads, so I opted to go with DecoArt Relic. I also wanted more of a stained look (as opposed to painting), so I mixed equal parts paint and water to "stain" my beads. I simply dropped each one in the paint/water solution then put them in an empty trash bag box to dry. Once I was happy with the length of my garland, I knotted it off then addd a dab of hot glue to keep the cut ends from fraying. 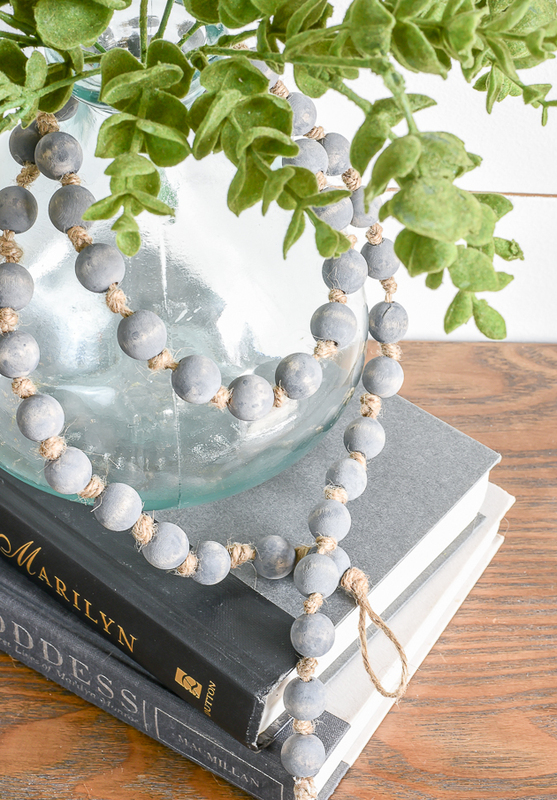 The addition of the jute knots was a simple one, but it made such a difference in adding texture to an otherwise simple wood bead garland. Looks great! I love the strands with tassels, too! Your directions made it so easy to make. Thanks! Love this one! I made several of the garlands with tassels. I used embroidery floss for the tassels on some. Thank you! 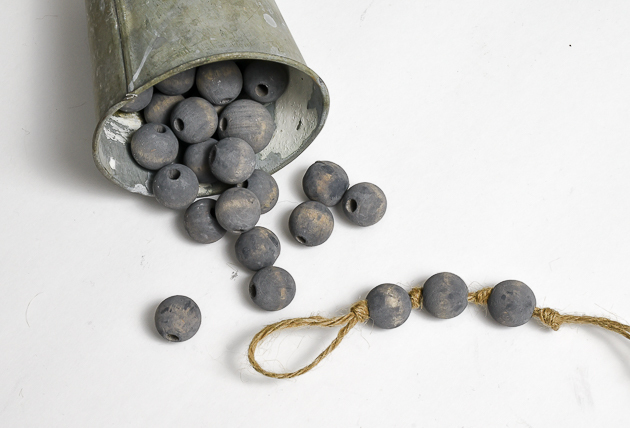 I am really liking your gray beads. Great idea and thanks for sharing the tutorial! It looks beautiful! 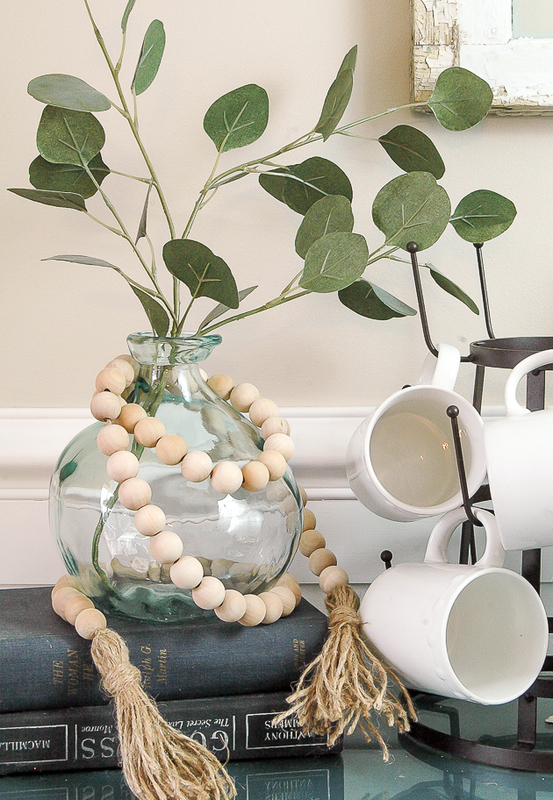 A really simple decor that's also easy to make, love the idea!